Working downtown Dallas and taking public transportation, I get to see a lot of pigeons. I like taking pictures of them. I usually feed them seeds and they seem to recognize me cause they start flying towards me when I am waiting for my bus. What catches my attention is their feet. Some have obviously had their feet and toes caught in a net, their blood circulation is cut off and in due time they lose their toes. As far as pain, they don't complain. 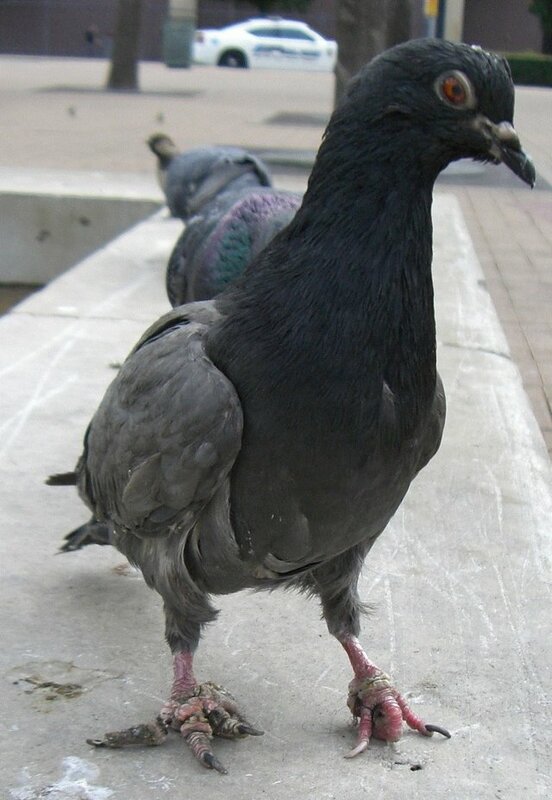 One NYC person noticed a pigeon, with a few toes missing, for 11 years. They are survivalists.